It is more than 8 months since The last entry and 101 tips for living in Bucharest were posted. In that time I thought it is really definiteve END of this blog. Another page written, another adventure experienced and a dream fulfilled. I moved to China-Chongqing to further develop skills in teaching and presentation. Pursue the carrier of an ESL Teacher and get to know the culture, the language and the people in Far East even better than during my stay in Taiwan. More about my stay in Chongqing on Chinese blog! Yet, here I am writing another entry to the Bucharest city blog. From July to August I will move back to Bucharest Romania to cooperate on the latest adventures of Assassin's Creed 4: Black Flag. Although it is going to be only for few weeks, I decided to revive this blog and bring you news from the backstage and testing at Ubisoft. Straight from the source. Living like a tester series - This time from a different point of view. Last year I was employed as a regular peon in the army of Ubisoft testers allocated in Bucharest. This year the structure and organization changed and I was hired as a freelancer. One project, One game, One language, One man. English - Since the audience consists mainly from foreigners and there is a possibility to translate the whole blog into any language by using the google translate feature (top-right corner of the page) I decided to publish in English. 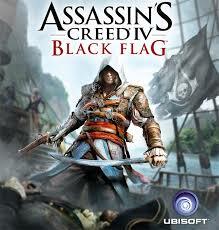 Assassin's Creed 4: Black Flag - News about upcoming episode of Assassin's Creed saga. Locations, Characters, Story, Graphics, Collision system anything I will be allowed to share is going to be in this section. Photos - Since I bought new equipment: Cannon 600D + EF 24-105mm f/4 L IS USM lens. I will definitely take it and shoot places, people and life in Bucharest. You may check my Picasa albums to get an idea about how is life in contemporary Romania-Bucharest.